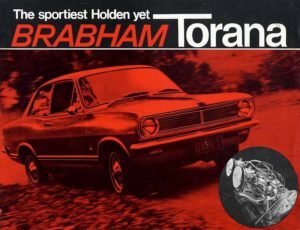 While, the HB Torana was not GM-H Holden’s first small vehicle, it was one for the history books as it was the first Holden Torana. The HB Torana replaced the Vauxhall HA Viva. 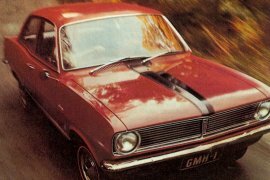 Originally GM-H was going to replace the Vauxhall HA Viva with the HB Viva, but decided to replace it with the Torana which means ‘to fly’ in the Aboriginal language . Holden used this language for other vehicles in its line-up. The HB Torana was the first model in its series with four other models in the line after it. Introduced in May of 1967 the HB Torana replaced the HA Series Vauxhall Viva in the Australian market. 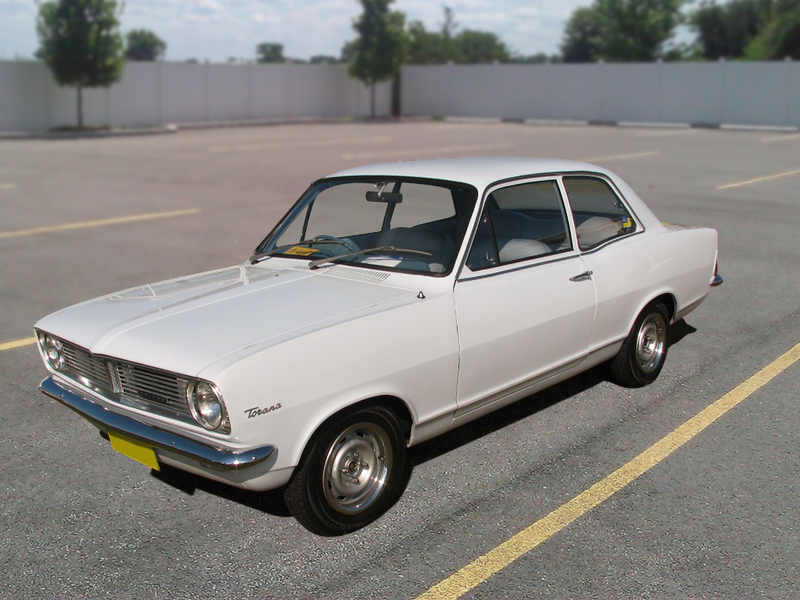 The main difference between the English and Australian HB Viva and HB Torana were the headlights and grille. The Australian version were more rectangular. Plus in European nature, the plate had two lights so that the licence plate number would completely show at night, the speedometer accommodated the km/h scale and there was a multi-function stalk that included the horn, headlight flasher, high/low beams, as well as the blinker function. This was a norm in the Australian market. This new model series featured a fabulous two door body style with 12-inch wheels (305-mm) and a magnificent four-cylinder engine connected to a four-speed gearbox (56-bhp (brake horsepower) 1.2 litre). The vehicle reached top speeds of 80 mph and acceleration of 60 mph in 19 seconds. It definitely would not win in a race, but did have a great fuel consumption. The HB Torana had a special enhancement option available to buyers with a Borg-Warner Model 35, which was a three-speed automatic transmission. The vehicle came with drum brakes on the front and rear with power-assistant front disc brakes if the buyer felt appropriate as well. The HB Torana model had three different trim levels available for purchase. The lowest level was the Torana, the next level up was the Torana S, and highest level was the Torana SL. They all had the same body style with a few different options available. The Torana had your front bucket seats with seatbelts as an added bonus. There was a review mirror with upholstery that was vinyl and rubber floor mats. That was the best you got with the Torana, but the Torana S add some nice features that really gave you a nice vehicle. The Torana S added ashtrays to the backseat, a parcel tray, assist straps, hooks for your coats and hanging clothes, door courtesy lights, armrests, and the rubber floor mats and steer wheel matched the vinyl. The SL Torana was a primer vehicle with wood grain finish, a heater, extra lights, locks, carpet and temperature gauges! This vehicle was something special. All of the models had a 1159cc four cylinder overhead value engine with a four speed transmission. Holden also added rack and pinion steering in the front which was new to his vehicles. This was very well received and had quite the storage and a tasteful exterior design. By 1968, a new option was added to HB with a Series 70 engine, also available in all trims. This engine was different than any engine in the line-up because it had a higher compression ratio with a higher-lift camshaft along with a single caburettor. This allowed for output up to 69 bhp (brake horsepower) (51 kW – kilowatt; 70 PS – pferdestärke). The line-up also changed providing a safety feature with power brakes in the front as a standard feature when the Series 70 engine was purchased. The other change that took place the availability of automatic transmission with the standard 56 bhp (brake horsepower) (42 kW – kilowatt; 57 PS – pferdestärke) engine. Each vehicle that came with this engine was uniquely identified with a little 70 and checkered auto squared emblem. In late 1967 a sports model of the HB Torana was released dubbed the Brabham Torana. This model was extremely special in Australia due to its connection to Sir Jack Brabham, the well-respected race-vehicle driver. It was just like Series 70, but it also had twin vehicleburettors with ‘sports’ air cleaners. It also had a low-restriction exhaust system allowing for 79 bhp (brake horsepower) (59 kW – kilowatt; 80 PS – pferdestärke). This model also had power-assist front disc brakes as a standard option. The thing that really set this vehicle apart was the physical aspect. This model had wheel rims that were wider and the tiers were red-wall with black accents! It was a good looking monster! As with the other Series 70, automatic transmission was not an option. In September 1968, the 69 Torana became available which was often referred to as the Series II of the HB Torana. 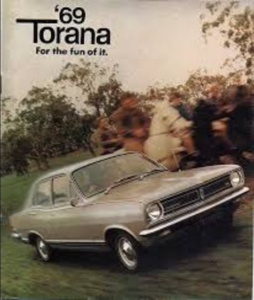 The original HB Torana was never officially tagged as the Series I, but after the Series II came out it was dubbed the Series I from time to time. The outside of the vehicle did not have a major overhaul, but the inside had plenty of new features. Plus, the Torana S and Torana SL added four-door vehicles to the line-up making them increasingly popular. This was completely an Australian market decision and it was a good one, because the overall body strength of the vehicle made it popular. One of the most important features of this vehicle was the locally made body panels as opposed to those imported on the body of the original HB Torana. One of the really neat features on this vehicle was the collapsible steering column making it very convenient for drivers of the vehicle. The Series II also had a nice new fixed instrument cluster, new indicator cluster and a new steering wheel. These were all local made components as well as opposed imported from other parts of the world making them even more desirable to the customer. The main problem with doing this is that the headlight dimmer (called the dip switch) was then put on the floor next to the left foot of the driver. Typically, this would go on the stalk. However, the SL model also ended up with a pinstripe look which was catchy and the license plate changed to one light instead of two on the bumper. An upgrade in brakes was now prevalent with dual-circuit brakes becoming standard. Power-assisted front brakes could still be added as an options if desired with the 56 bhp engine (42 kW; 57 PS). Last, the exterior changes were only changed to badgework, but interior changes consisted of trim with Sadlon vinyl; griffin grain on the S model and Brabham models; and wyvern grain on the SL model; and weave nylon fabric as an option available on the models as well. By this time the Brabham Torana was still a model available, but only in the two door form called the XS5 model. It did have a nice sports steering wheel option available quite familiar to the Holden Monaro GTS. Also standard in the Brabham Torana now was full instrumentation (included a tachometer, oil pressure, a fuel level gauge, water temperature, and amp gauges), new emblem badging, and different accenting. The Series II now featured a nice black stripe down the nose of the vehicle with blacked out windows frames and a tail light panel. 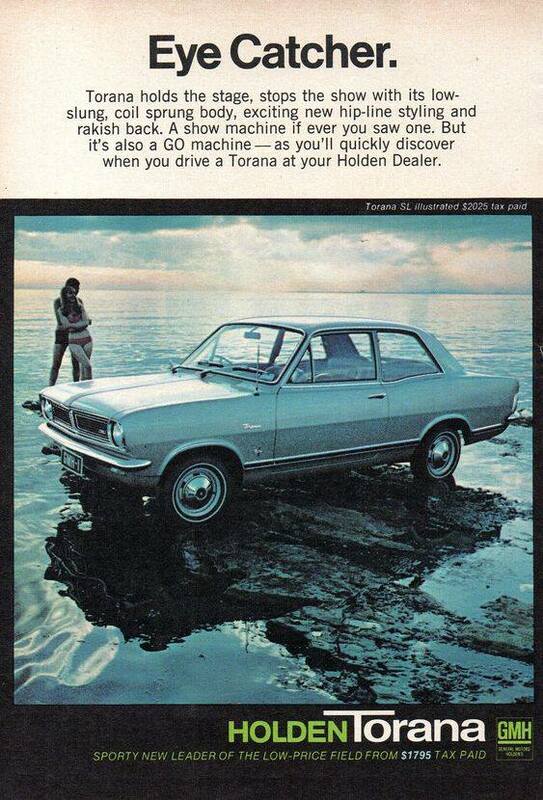 The HB Torana only lasted until late 1969. Total production numbers range up to 36,000. The panels imported into the United Kingdom for the body of the HB Torana are estimated to be 20,200 with the rest being locally manufactured. Radio mounted under the dash.